The Co-operative movement has never been more relevant, bringing with it inspiration for a new generation of entrepreneurs. The Co-operative's history is characterised by moments when vision, innovation and ethics have come together to present a different path for our business and our key stakeholders to take. 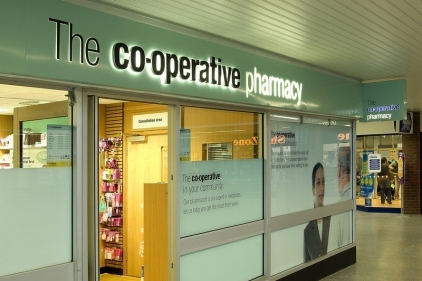 Against the backdrop of a world left financially and spiritually poorer by corporate greed and speculation, the co-operative business model has once again gained contemporary relevance and significance. In some respects, it has taken an international financial crisis to bring into focus the need for alternative and effective business models to create balance and stability moving forwards. Step forward then, co-operation - a robust, inclusive and socially responsible approach to business that has remained rooted in principle for more than 150 years and whose resurgence in recent years has contrasted with those businesses based on profit maximisation. A new generation of co-operative pioneers are progressing and introducing co-operative solutions across a range of sectors to meet acute social and economic challenges. Whether it is communities coming together to save the assets and services they hold dear, employees choosing to buy enterprises from their employers, or groups of friends coming together to take forward bold and innovative business ideas that are consumer-led and ethically guided, the culmination of this activity is that the co-operative economy has seen notable growth in recent times. In 2010, co-operative turnover grew by 4.4 per cent, to £33.2bn, more than three times the growth of the British economy as a whole, while during the past three years, the number of co-operatives has increased from 4,800 to almost 5,500. The Co-operative Group has been at the forefront of this renaissance and during the past few years we have managed to double our profits and revenues. Throughout this period our commitment to maintain corporate leadership in business ethics and sustainability has been unswerving. It is no coincidence, for example, that our bank remains the only main high street bank with a clear ethical policy, while at the same time it did not ask for or need government support throughout the credit crunch. During 2011, The Co-operative Group launched what was, in the minds of many leading commentators, the UK's most radical ethical operating plan. It was radical because of the depth and breadth of the targets and commitments announced, and because the core themes materially affect all of our business operations and key stakeholders. The plan sets ambitious goals within important areas of national and international concern for our members. It provides the basis for a new generation of co-operative thinking and action to be delivered. At a time when the country is looking for solutions to existing problems, rather than a whole set of new problems, The Co-operative Group is delivering on a progressive social agenda, aimed at building a better society. We have established a new apprenticeship academy that will provide more than 2,000 apprentices across our business portfolio during the next three years. We are investing more than £11m in our award-winning enterprise hub, which provides financial and practical support for start-up co-operatives, which this year will have helped to create a new co-operative a day, bringing jobs and closer community cohesion into local societies. Supporting community health, wellbeing, education and safety also remains a key part of our thinking and we are at the forefront of a number of schemes to progress this. We have made a commitment to ensure that 30 per cent of our food promotions will be for healthy offerings. We have launched the UK's most comprehensive Green Schools education programme and introduced a bespoke scheme to provide bank accounts for prisoners, which we believe has helped to reduce reoffending rates. In terms of inspiring a younger generation of motorists, we have pioneered a new young driver insurance product that directly rewards responsible driving among the young and makes our roads safer at the same time. Our support and innovation is not restricted to the UK and it is timely that with this year being designated by the United Nations as the International Year of Co-operatives, we are also increasing our support for international development. The Co-operative Group has long been a leader in supporting Fairtrade to ensure people in the third world receive a fair price for their produce. It is trade, not aid, which makes a truly sustainable difference to livelihoods and many of the farmers we support in this way are members of co-operatives themselves. This highlights one of the key principles of the movement, which is to promote co-operation among co-operatives. This is why in New York recently, coinciding with the celebrations for the International Year of Co-operatives, the movement announced a new international investment scheme that will provide much-needed finance to third world co-operatives for capital and infrastructure projects. 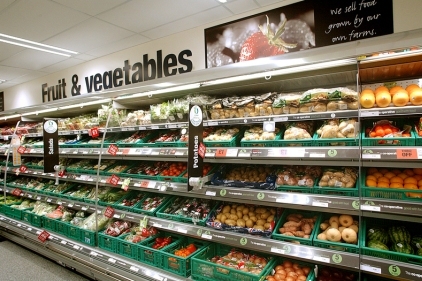 The concept - developed by The Co-operative Bank and the International Co-operative Alliance - will help co-operative businesses grow by providing low-cost loans so they can, for example, buy machinery to increase production, fund new transport to open up untapped markets and build storage facilities to eliminate lost produce. It is a co-operative fund that will make a positive difference to thousands of people's lives and one I am privileged to be personally involved in. The Co-operative is not immune from the major economic challenges that have resulted from the deepest recessions in living memory. We have, however, a business model that is predicated around delivering benefits for our stakeholders in a sustainable and long-term manner. By adopting this approach, I believe we can also provide the social and economic impetus to create a more balanced, fairer and sustainable society. 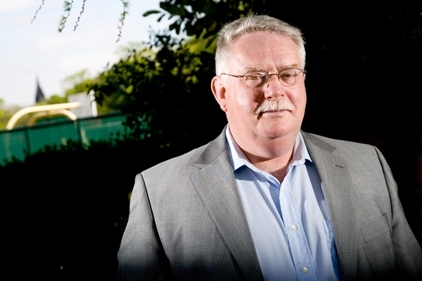 Paul Flowers is chair of The Co-operative Bank and deputy chair of The Co-operative Group. The Reverend Paul Flowers is unique among his corporate peers. A methodist minister, he brings a wealth of social experiences to his role in chairing The Co-operative Bank, as well as his experience in business. A lifetime serving the public includes leading work tackling drug abuse and, as vice-chair of the National Association of Citizens Advice Bureaux, bringing his people skills to the fore in helping to offer counsel in areas such as financial advice. He has taken on a challenge at the bank that in some ways mirrors what many ministers face in church each week; understanding the real pressures people face regarding the impact of the financial decisions they take.